Advanced Micro Devices doesn’t want its chips in low-priced tablets, and is eager to avoid a battle with Intel or ARM, whose chips have driven tablet prices down to under $100. Growth in the tablet market is driven by low-end devices and Android, but AMD’s tablet strategy is driven by Windows and high-performance machines. So AMD’s avoidance of the low end of the market narrows options for people looking for name-brand chips in low-price machines. AMD chips are in just a handful of tablet models. 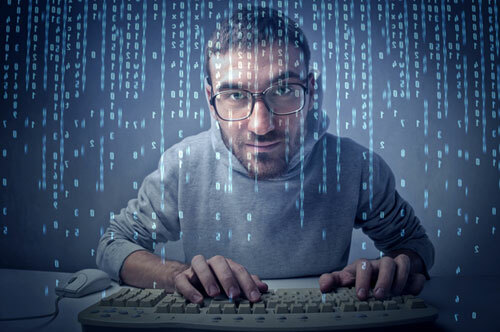 Those AMD chips that are available for tablets are essentially watered-down PC chips with strong graphics capabilities. But the company plans to introduce new chips, code-named Beema and Mullins, for tablets These new chips are based on a new core and designed to provide more performance and battery life. “If we miss out on some units in the low end, so be it,” said Lisa Su, general manager of AMD’s global business units, during the first-quarter earnings call on Thursday. AMD executives said they didn’t want to buy their way into the tablet market like Intel, which has been subsidizing tablet makers to use its x86 chips through its “contra revenue” program. Instead, AMD wants to be selective in its product mix, and focus on high-margin and high-value products. “This idea of contra revenue is foreign to us,” said Rory Read, CEO of AMD, during the call. AMD could go after tablets priced at $300, but won’t go under that, said Nathan Brookwood, principal analyst at Insight 64. “They are not chasing bad business,” Brookwood said. AMD doesn’t have the financial resources to provide subsidies to tablet makers to use its chips, Brookwood said. Though the tablet market is important, AMD is more concerned about generating revenue from custom chips and other areas, Brookwood said. AMD makes custom chips for game consoles like Microsoft’s Xbox One and Sony’s PlayStation 4, which helped drive up revenue by 28 percent in the first fiscal quarter of 2014. 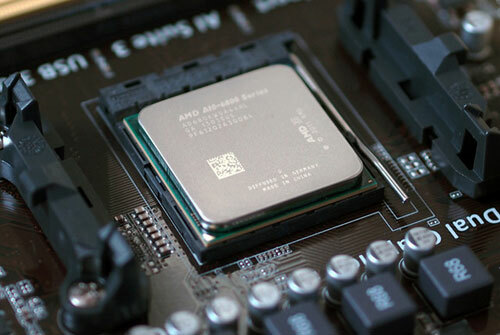 AMD’s revenue in the PC, server and tablet chip business declined. Addressing the wide tablet market isn’t a good idea for AMD and its bottom line, said Dean McCarron, principal analyst at Mercury Research. AMD is directing more resources out of tablets and into consoles, where there is more financial reward, McCarron said. But it does need one or two big customers to help their tablet business, he said. A $200 million chip deal is big for AMD, but peanuts for a company like Intel, McCarron said. Intel also has its own factories and can afford to subsidize chips. AMD gets its chips made from contract chip manufacturers like GlobalFoundries. Intel is looking to ship 40 million tablet chips this year, and this week reported it had shipped 5 million tablet chips in the first fiscal quarter. The tablet market is currently favorable to ARM, so Intel has to provide subsidies and incentives to device makers in an effort to establish x86 chips. And just like in PCs, AMD could simply piggyback Intel’s success and make its way into the x86-friendly tablet market. Open your pocketbooks, 4K fans, Toshiba’s first Ultra HD laptop is headed your way next Tuesday. The Tokyo-based electronics maker just announced that the Toshiba Satellite P55t will hit U.S. store shelves on April 22, starting at $1,500 for the base model. For all that cash you’ll get a 15.6-inch laptop with a quad-core Intel Core i7 processor (no word on the specific model), up to 16GB RAM, an AMD Radeon R9 M265X discrete graphics card with 2GB RAM, and a 1TB hard drive. Other niceties include Windows 8.1, four USB 3.0 ports, backlit keyboard, SD card slot, 802.11ac Wi-Fi, HDMI out, and some brand name speakers from Harman Kardon. 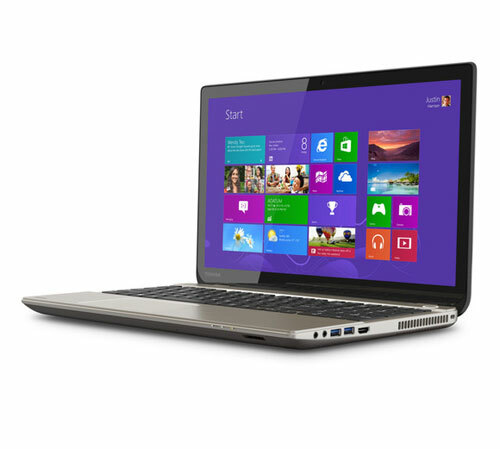 But the big feature for the P55t is the laptop’s screen resolution, which is 3840-by-2160 with 282 pixels per inch. Astute 4K fans will note that Toshiba’s new clamshell is using the Ultra HD version of 4K and not the 4096-by-2160 resolution favored by the film industry and available on some external monitors. One of the letdowns with the P55t may be Toshiba’s choice of storage. The company’s announcement didn’t once mention the possibility of upgrading that 1TB HDD for a screaming SSD option. Perhaps if you’re doing media work, a 1TB hard drive is preferable for storing large, image-intensive files. For anyone ready to shell out high-end money for their home PC, however, the lack of an SSD option is a bit of a bummer. Then again it’s nothing that a screwdriver, patience, and a DIY mentality can’t fix. Toshiba is the first company out of the gate with a laptop loaded with 4K, but it won’t be the last. During CES in January, Lenovo was showing off an Ultra HD option for the upcoming Y50 gaming laptop. Other companies are also sure to jump on the 4K laptop party train following a rash of 4K PC monitors announced over the past 12 months from companies including Asus, Dell, and Sharp. TechHive’s parent company, IDG, is once again conducting its annual Global Mobile Survey, which quizzes you on your mobile-device habits and media consumption so we can learn more about how people are using their smartphones and tablets today. Readers who participate will be entered in a drawing for a chance to win an iPad mini. This year we’re interested in learning more about how you use your mobile device to view and share technology-related content and information. Your feedback will help us to more closely align our mobile services with your needs, so give us a hand by taking the survey! The survey is around 10-15 minutes in length. And there’s a reward! 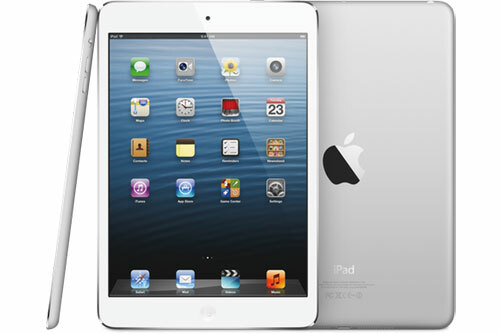 Three lucky respondents who complete the survey will have a chance to win an Apple iPad mini. You’ve got to be a U.S. resident age 18 years or older to be eligible to win the iPad mini; at the end of the survey all you have to do is give us your email address. It’s a short survey and there are three iPad minis up for grabs, so give it a spin!